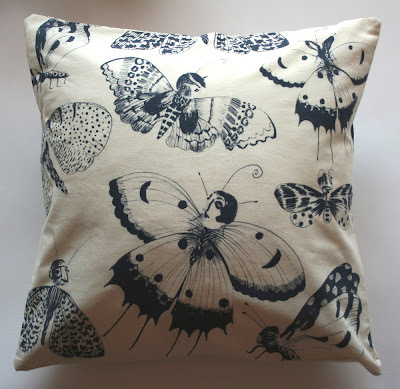 Cushion cover prints designed by Ellie Curtis. 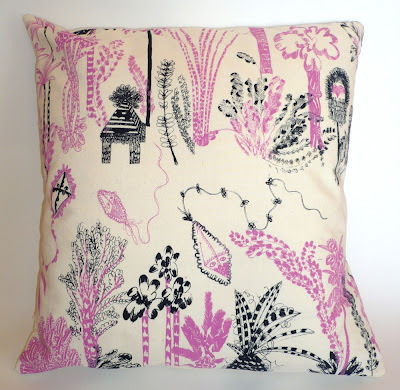 She screenprinted this calico cushions cover up in her East London print studio. Visit her shop at Etsy. Ohhhh! These pillows are just lovely. The design is to die for!